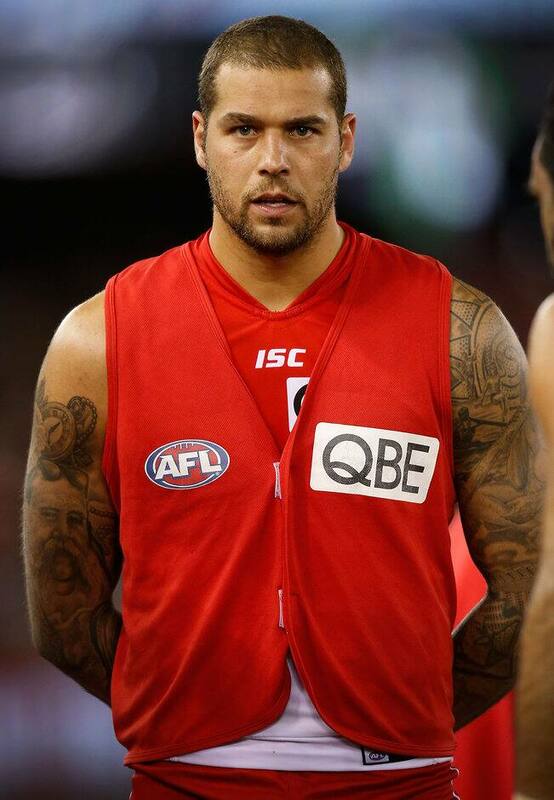 SYDNEY Swans star Lance Franklin suffered an epileptic seizure the day before he helped his side win their round 23 match against Gold Coast on Saturday night. The three-time Coleman medallist was hospitalised on Friday morning after falling ill at a café near his home in Bondi in Sydney's eastern suburbs, but was released later that day. He kicked a goal and had 13 possessions in the Swans' 63-point victory over the Suns. The Swans released a statement on Tuesday night confirming Franklin suffers from mild epilepsy, and that the seizure was in no way related to a mental health condition being suffered by the former Hawk. The club confirmed Franklin had been medically cleared to take on the Suns. Franklin has been ruled out of Saturday’s qualifying final against Fremantle while he takes time away from the club to address his mental health issues. The Swans, who released a statement on Tuesday explaining Franklin's condition, have rallied around the key forward, who is now "in the best area for him personally". Football manager Tom Harley said the club was doing everything possible to support Franklin and its first priority was looking after the 28-year-old's health. "Lance has been open with the club about his condition and while we consider it a private medical matter, he is aware he has our full support," Harley said. "The timeframe on his return is unclear at this stage. He will certainly miss this week’s match and we will continue to monitor his condition." Swans coach John Longmire, who addressed the AFL Commission three years ago about mental health issues in the AFL, said he had spoken to Franklin, who had the best possible care and support. "It's a shock to a lot of the boys … we can just support him as a player group and as a footy club, and that's what we'll do," Longmire said. "We're right behind him, we support him fully, and footy's the last thing on our minds in regards to his health. "All the players have spoken about it and we're fully behind him." Longmire said Franklin's decision to share his mental health battle with teammates, club staff and the public would help him understand how common such struggles were. He said the club was very confident the star forward would emerge successfully. "He's now talking about it, which is a big step forward," Longmire said. "It does not discriminate as far as an 18-year-old kid who comes from interstate and is struggling with a lot of different issues, or one of the very best players in the game. "A lot of people are able to deal with it and be very successful, and we're very confident that will be the case with Lance." Co-captain Jarrad McVeigh spoke on behalf of the players on Tuesday and said Franklin's battle was not something they had known about. "You see the players every day and some players do struggle every now and then," he said. "It's not something you really do know about until he's put his hand up and said, 'I do have an issue'. Then we talk about it as a group and support him. "That's all we can do." Lance has our full support. His wellbeing is our primary focus. Out of respect for his privacy @sydneyswans will make no further comment. Franklin joined the Swans as a restricted free agent at the end of 2013 and signed a nine-year, multi-million dollar deal that runs until the end of the 2022 season. He missed four matches from rounds 17 to 21 with a back injury and has been rusty in the past two weeks, being substituted in round 22 and kicking one goal in round 23. The former Hawthorn star will be joined on the sidelines against Fremantle by key midfielder Kieren Jack (knee) and Luke Parker (ankle) and defender Nick Smith (hamstring).